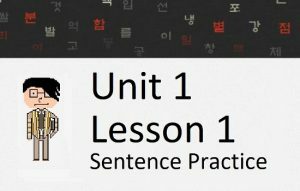 In this lesson, you will learn about a grammatical principle that you probably hear all the time in Korean. Probably one of the most common grammatical forms in Korean is the usage of ~는데. Why did it take me until Lesson 76 to finally introduce to this principle? 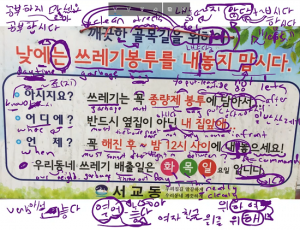 Its meaning is complex and difficult to understand, especially when a learner hasn’t quite mastered the basics of Korean grammar. If you do completely understand the usage of ~는데 after my two lessons describing it, you either owe it to yourself for having a good grasp of the Korean language, or you owe it to me for being a good teacher! Let’s get started. 데 is another noun – but a noun that refers to a “place.” Synonyms of this word are “장소” and “곳” which you should be familiar with by now. While 곳 and 장소 can be used in many parts of a sentence, 데 is usually only used when being described by some verb or adjective using the ~는 것 principle. 혹시 가고 싶은 데가 있어요? = Do you have a place that you want to go to? The meaning of 데 to mean “place” is easy to understand in the examples that have been presented so far. 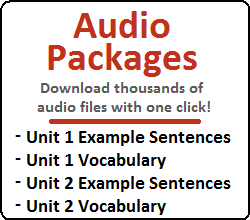 However, this becomes more complicated when you start learning about other grammatical principles that can be easily confused with the sentences we made earlier. Let’s dive right into this confusion. Notice the space between ~는 and 데. The space signifies that 데 is a noun (meaning “place”) and the clause before “는” is describing the noun. However, “~는데” (without the space) is a completely different grammatical principle and can create many different meanings – all of which are very hard to grasp. I will describe one of these meanings in the remainder of this lesson. Even though I don’t like meat, I will try some. In that sentence, you are negating the fact that you don’t like meat, and the second clause (“I will try some”) indicates something opposing the first clause. A meaning that is slightly less strong than “even though,” and/or often times setting up the situation for an upcoming clause. But even those translations are debatable and could change depending on the situation. Translating ~는데 directly into English is very hard because not only is there no direct translation, the meaning is very variable. While sometimes the meaning it takes on might have this slight “even though” feeling (as you have seen in the examples above), depending on the situation, it might not have that feeling at all. The key to understanding this grammatical principle is understanding the context of the conversation. 저는 질문이 있어요. 이 일을 언제까지 해야 되나요? = I have a question. Until when do we have to finish this work? 질문이 있는데 이 일을 언제까지 해야 되나요? = I have a question…until when do we have to finish this work? 제가 지금 가야 되는데 혹시 그것을 내일 저한테 줄 수 있어요? = I have to go now; can you give that to me tomorrow? This grammatical principle can be applied to adjectives as well. However, instead of attaching ~는데, you must attach ~ㄴ/은데, where ~은데 comes after an adjective that ends in a consonant, and ~ㄴ데 attaches directly to an adjective that ends in a vowel (or with the consonant ㄹ). This applies to 이다 as well (and also remember that 싶다 is an adjective). You have learned many times that 있다 (usually) and 없다 (always) are adjectives. Although this is true, ~은 is rarely added to these words. Therefore, I included 있다 and 없다 in the section above with verbs, where ~는데 is attached. I first introduced 있다 and 없다 acting differently than most adjectives in Lesson 28. You also see 있다 and 없다 act differently than other adjectives when applying other grammatical principles – like when quoting questions (Lesson 53). 여기가 너무 더운데 그늘이 있는 데로 가도 돼요? 선생님이 내일부터 실험을 할 건데 재료가 뭐 필요세요? = You (teacher) are going to be doing an experiment starting from tomorrow (as in, in your classes this week), what (ingredients) do you need? 선생님이 내일부터 실험을 할 것인데 재료가 뭐 필요하세요? 선생님이 내일부터 실험을 할 거인데 재료가 뭐 필요하세요? ~는데 is very versatile and using it makes your Korean sound very natural. The usage is a little bit hard to get used to, but by adding ~는데 into your repertoire of Korean you will very quickly discover its specific usage. I suggest using this principle very often, especially (as I mentioned earlier) to join two clauses together where the first can give the background scenario for the upcoming clause. 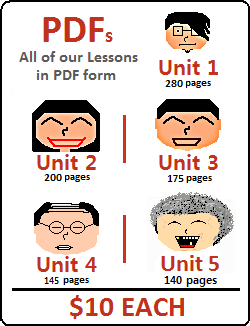 There are a few other ways that ~는데 can be used, but I will describe these in the next lesson. For now… that’s it for this lesson!